Maryville Middle School began its Leader in Me journey in 2013 when the staff created a plan of action together to develop a Leadership culture where all students would discover leadership qualities within themselves and use those talents to become more effective in our daily lives. Teachers and staff researched, participated in book studies and visited Leader in Me schools to learn as much about the process as possible and became eager to begin implementation immediately. In 2014, MMS was granted funding through the I Am A Leader Foundation sponsored by Panda Express. Along with our principal, our MMS faculty and staff convened in the summer of 2014 to embark on their new personal and professional journeys. The training laid a solid foundation that equipped the teachers with the necessary tools to provide a worthy model for their students. Since that time, all our new staff members have been trained in the Seven Habits and our entire faculty has received a additional training and ongoing support from our Leader In Me consultant. Teachers began teaching the common language of the habits to the students in every grade level beginning the 2014-15 school year. 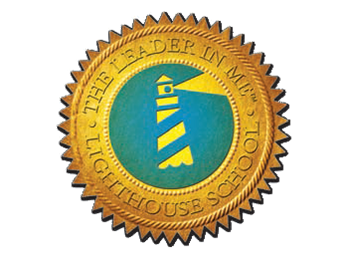 Over time, we created leadership opportunities for all the students, using student Leadership Notebooks, imbed the 7 habits within our curriculum and developed a Student Lighthouse Leadership Action Team. This Team generated our school mission statement, "Learn to Inquire. Lead to Inspire."